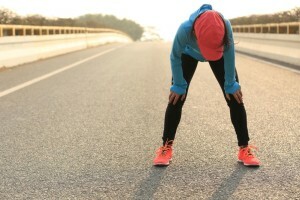 Something to consider for your next marathon build or half-marathon training block: high intensity interval training, or HIIT, can be a great way to boost your overall fitness, speed and endurance, while saving time. In the off-season, doing HIIT strength workouts may also offer the injury protection of cross-training, provided you adapt to it gradually, focus on good form, and are not aggravating an existing injury. Almost any type of workout, whether strength-based or running-based, can be turned into a HIIT workout, simply by increasing intensity and limiting rest between repetitions. Runners who do sprint interval workouts are already doing HIIT, even though they may not refer to it that way. We spoke to Martin Daignault, a registered kinesiologist and the general manager of Myodetox Performance in Toronto. 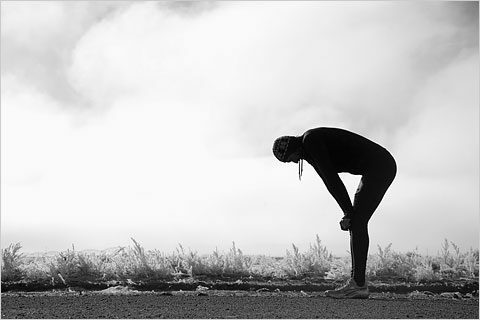 Daigneault races 100-milers, so he understands as well as anyone how endurance runners can use HIIT to best advantage. HIIT workouts can also be done in the gym, to improve your strength as well as conditioning. As Daigneault explains, your focus in training is on your engine (aerobic and anaerobic systems and VO2 max), but it’s your muscles and connective tissues that actually propel you forward, and HIIT can be a way to get those benefits without having to spend hours in the gym every week. Here’s an example of a 10-minute HIIT workout you can do outside with no equipment. Make sure to warm up and cool down with some light jogging. You can play with the interval timing, e.g. 45 second interval, 15 seconds of rest. For timing, try the Tabata app.